Leaning towards the American market: Australia. October sales in Australia are disappointing: down 1% year-on-year to 93.357 units, however the year-to-date tally is still at all-time record heights, up 2.4% on 2015 to 980.433. That’s 23.000 more sales than at the same time last year. Passenger cars, down 7.4% to 37.817 registrations, seem irremediably destined to be overtaken by SUVs, up another 4.9% to 36.442, the smallest gap between the two categories so far in Australia, while light commercials are up a tiny 0.4% to 16.098. Once again, the news isn’t good in the private sales aisle, indicating a growing shyness of every day consumers at -3.5% to 42.643, compensated by business sales doing the heavy lifting at +2.6% to 38.299. 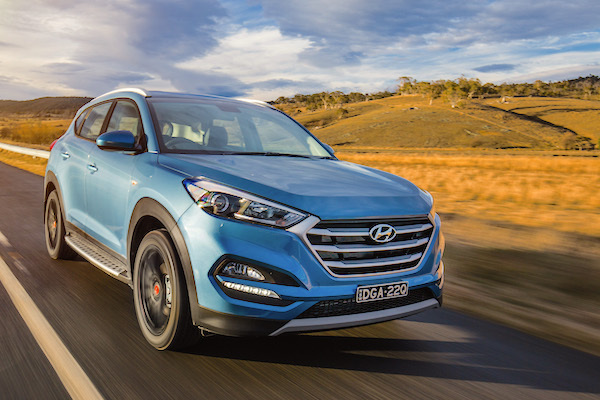 The Hyundai Tucson is the best-selling SUV in Australia in October. Only three States manage an increase: Tasmania up 13% to 1.937, Victoria up 4% to 27.546 and New South Wales up 2% to 31.850. Reversely, South Australia is down 6% to 5.450, the Australian Capital Territory down 7% to 1.411, Queensland down 7.5% to 16.870, Northern Territory down 9% to 713 and Western Australia once again the most affected due to the slowing down of mining activity at -11% to 7.580. In October Australia bought 25.662 new vehicles imported from Japan, 21.244 from Thailand, 13.891 from South Korea, bought 7.179 Australia-made cars and 7.518 made in Germany. Ford, stopping local manufacturing this month, is down 11% to 1.099 Australia-made sales in October but the two other local carmakers (until 2017) are up: Holden at 3.609 (+10.5%) and Toyota at 2.471 (+3.6%). 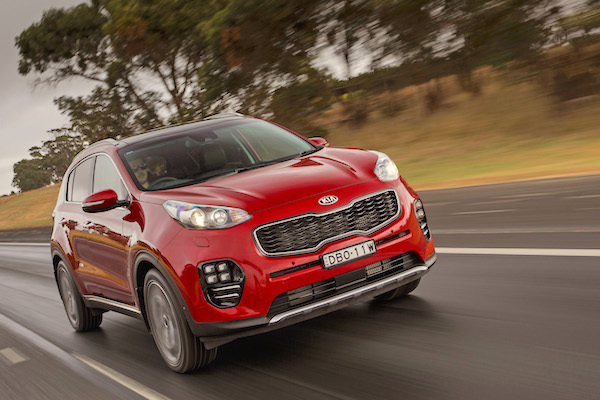 Australian Kia sales are up 24% in October, enabling the brand to return inside the Top 10. In the overall brands ranking, Toyota remains in control at 17.5% share (-4%), with Hyundai overtaking Mazda for 2nd place at 9.3% share (-3%) vs. 8.5% (-7%), Holden (-7%) and Ford (+7%) rounding up the Top 5. Ford is up 17% year-to-date whereas Holden is down 7%. Volkswagen (+9%), Subaru (+1%) and Kia (+24%) are the other manufacturers posting positive results inside the Top 10. Further down, Mercedes surges up 33%, Renault is up 43% thanks to the all-new Koleos, Skoda is up 15%, Fiat up 20%, Mini up 19%, Jaguar up 64% and Bentley up 125%. Jeep (-38%), Alfa Romeo (-43%), Peugeot (-50%), Foton (-51%) and Chrysler (-59%) struggle. 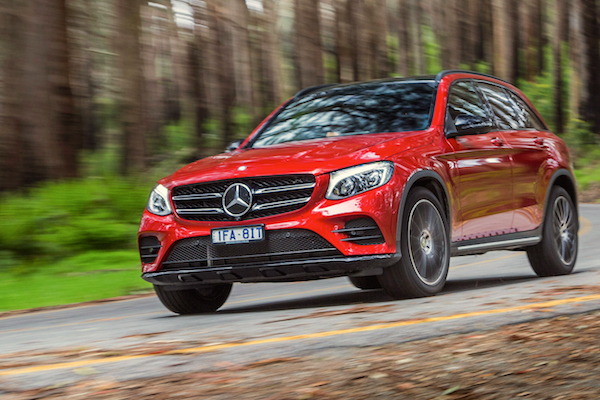 Mercedes surges 33% this month. 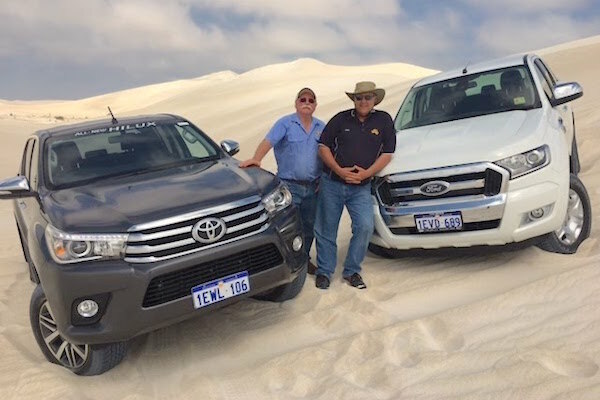 But the big event this month is the 1-2 signed by utes – Australian slang for pickup trucks – the first time in Australian history this happens. The Toyota Hilux is the outright best-selling vehicle in the country, selling 3.352 vs. 3.339 a year ago in October 2015 when it also ranked #1. This enables the Hilux to reclaim the #1 year-to-date position off its stablemate the Toyota Corolla for just 21 sales at 34.179 (+19%) vs. 34.158 (-3%). Of concern though for Toyota (once again) is the outstanding performance of the Ford Ranger, soaring 24% to 3.217 units in 2nd place. This is the Ranger’s best-ever monthly ranking in Australia, its previous best being #3, hit four times in 2016. This performance lifts Ford’s ute up to #4 year-to-date below the Hyundai i30, overtaking the Mazda3 for the first time. 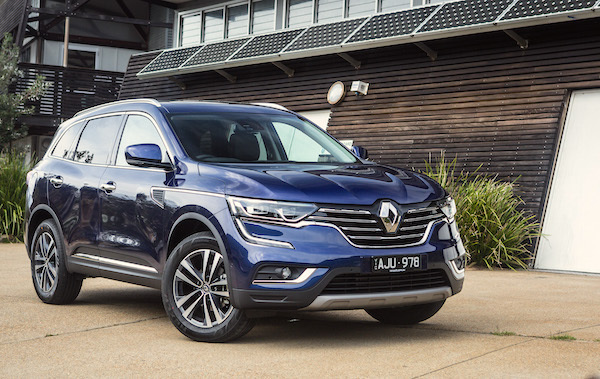 Renault is up 43% thanks to the new Koleos, and now outsells Peugeot 7-to-1. The Toyota Camry climbs back up 5 spots to #6 and #1 Australia-made nameplate above the Holden Commodore (#7). Like last month, Hyundai manages to place three nameplates inside the Top 10 with the Accent up 30% to #8 and the Tucson up 119% to lead the SUV segment at #9 and 1.845 sales, partly thanks to sharply-priced 30th anniversary-badged version that celebrates the brand’s three decades in Australia. The Tucson distances the Nissan X-Trail (+3%), Mitsubishi ASX (+52%) and Mazda CX-5 (-21%), the traditional SUV leader, coming down after M-day boosted October sales. 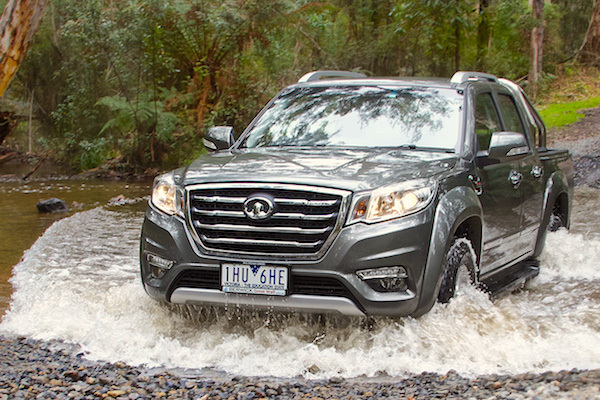 Great Wall is back in Australia with the Steed pickup. Other great performers include the Kia Cerato (+32%), Toyota Land Cruiser (+36%), Kia Sportage (+111%), Mazda CX-9 up a spectacular 260% year-on-year to #33 overall thanks to the new model, the VW Tiguan (+131%), Honda Civic (+85%) and Mercedes GLA (+178%). The Ford Mustang leads new launches (<12 months) at #46 ahead of the Mitsubishi Pajero Sport (#64), Mercedes GLC (#67), Suzuki Baleno (#90), Subaru Levorg (#102) and Kia Picanto (#108) while the Fiat 124 Spider shoots up 111 spots on last month to #155. This month marks the return of Great Wall in the Australian sales charts, now as a pickup-only brand with the Steed landing at #235, sister company Haval for its part launches the H6 – the best-selling SUV in China – at #252. Full September 2016 Top 15 brands and Top 285 All-models below.